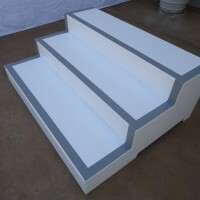 Skirting Rentals, Handrails, and Stairs by Stage CMDR, Inc. Stage CMDR offers a wide variety of colors for the skirting that wraps around the stage from 2 different types of soft good material. Each skirting is made from a professional theatrical fabric that has been fire retardant certified. 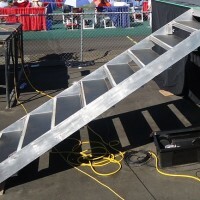 Stage CMDR offers 3 types of Handrails (Scenic, OSHA, Plexi) and in various lengths shown below. 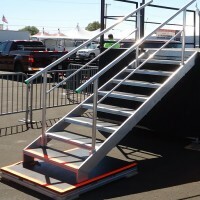 Custom designed hand rails are available upon special request. Standard colors are Black and Silver. Custom painted colors are available upon special request. Scenic Rails can come with removable pockets for fast and easy removal. 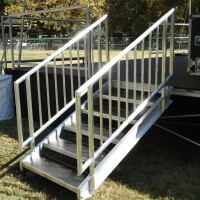 Stage CMDR offers 3 types of stairs (Wooden, Clear/Plexi and Aluminum) with or without hand rails and in various lengths that range from 1′ to 6′. 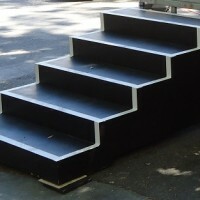 Wooden stairs come standard black or white. 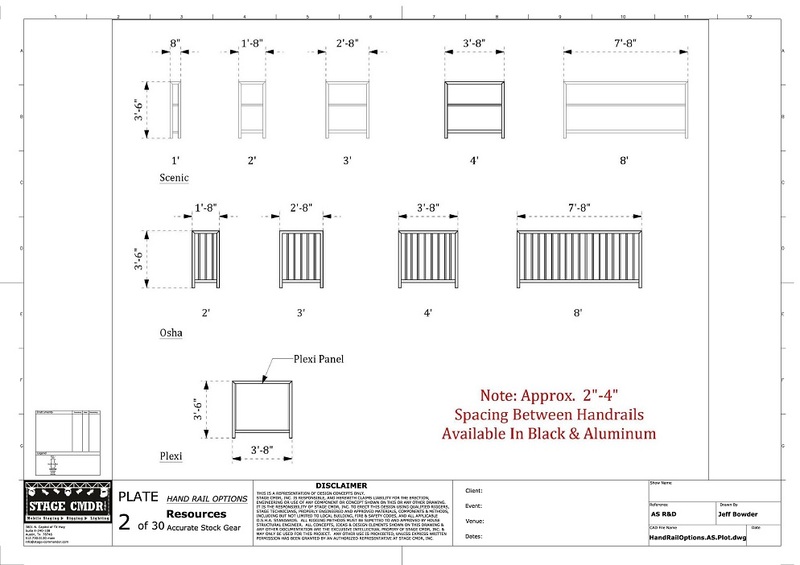 Custom heights/lengths and colors can be fabricated upon special request.